strict warning: Non-static method view::load() should not be called statically in /var/www/web/modules/acquia/views/views.module on line 906.
strict warning: Declaration of views_handler_filter::options_validate() should be compatible with views_handler::options_validate($form, &$form_state) in /var/www/web/modules/acquia/views/handlers/views_handler_filter.inc on line 607.
strict warning: Declaration of views_handler_filter::options_submit() should be compatible with views_handler::options_submit($form, &$form_state) in /var/www/web/modules/acquia/views/handlers/views_handler_filter.inc on line 607.
strict warning: Declaration of views_plugin_row::options_validate() should be compatible with views_plugin::options_validate(&$form, &$form_state) in /var/www/web/modules/acquia/views/plugins/views_plugin_row.inc on line 134.
strict warning: Declaration of views_plugin_row::options_submit() should be compatible with views_plugin::options_submit(&$form, &$form_state) in /var/www/web/modules/acquia/views/plugins/views_plugin_row.inc on line 134. Orme Electrical Ltd undertake all aspects of domestic installation work. 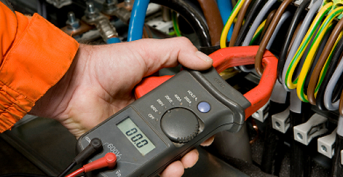 All of our electricians are fully qualified and have taken time to gain all the relevant qualifications to carry out your electrical work safely, so you are in very safe hands!